What’s your go-to brunch spot in the neighborhood around your River Oaks apartments? If you’re at a loss when it comes to top-notch brunch restaurants, allow us to help. 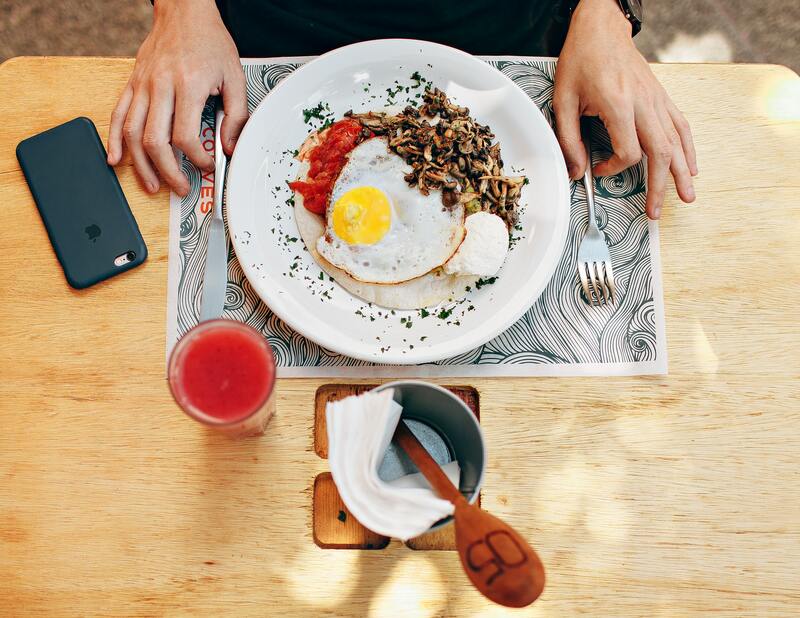 In the blog post below, we’ll be talking about some of our favorite restaurants for those weekend mornings when you wake up in need of a massive meal. After you read this week’s blog post, you should have the knowledge you need to take charge when your friends start to waffle about where to go for brunch. Choosing a brunch restaurant is a lot of responsibility, but we’re here to provide you with a list of place that won’t let you down. Without further delay, let’s dive right into this week’s blog post! Oh, and when you’re done reading through it, please be sure to share the link to this page with your friends and neighbors at your favorite community of downtown Houston apartments. If you get nothing else at Breakfast Klub, get the chicken and waffles dish. You can get a good idea of how delicious it is if you visit the Breakfast Klub Yelp page. You’ll find that almost every photo on the page is of the aforementioned dish. The chicken is both juicy and crunchy, and the waffles are savory and sweet. Next time you’re craving chicken and waffles, make a beeline for Breakfast Klub. One of the coolest thing about Baby Barnaby’s is that it has a distinct theme. The restaurant features tons of photos of San Francisco/The Bay Area, which will make you feel like you’re on vacation even though you’re just a few blocks from your downtown Houston apartments. As for the food, we recommend the green eggs, anything that comes with potatoes, and the orange juice that Baby Barnaby’s is famous for. Brunch is best enjoyed on a patio, and that’s especially true when the weather drops below 80 degrees in Houston. When that happens, we recommend that you head straight to District 7 Grill. Not only is the food delicious and the patio gorgeous, but everything is reasonably prices. Although District 7 is decidedly upscale, the brunch dishes are incredibly affordable. Give this place a shot next time you’re in the mood for a boozy brunch! After all, the massive mimosas come in at only $4. With that, we’ve hit the end of our list of the best brunch restaurants in the neighborhood around Dolce Midtown! We’d like to use this time to thank those of you who’ve been coming back week after week to read all the latest blogs from your apartment community. We love keeping our residents informed, and we hope you enjoy learning about your neighborhood week after week! If we’ve done our job this week, you should have no problem providing friends with run recommendations during the holiday season. We’ll be back in the first week of December with two more brand new blogs for our residents. If you enjoyed reading this week’s blog and you’d like to be among the first to read our next one when it goes live on our website, we recommend that you bookmark our blog page. That way, you’ll always be able to enjoy easy access to our next post when it goes live on our website. Until then, you can stay informed about everything happening at Dolce Midtown by following our community on social media. Once you’ve done that, you’ll be able to check back and keep up with all the updates, resident events and community giveaways going on at our community of apartments in Midtown Houston.